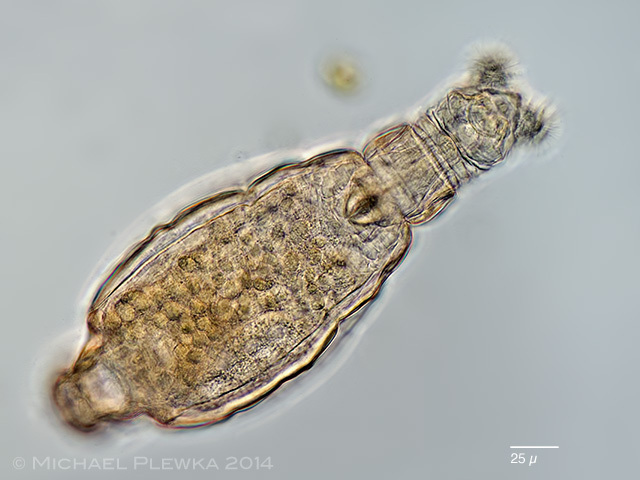 Rotifers of Germany and adjoining countries: Habrotrocha novemdens de Koning 1947, Habrotrochidae/ Bdelloidea/ Rotifera/ Syndermata. 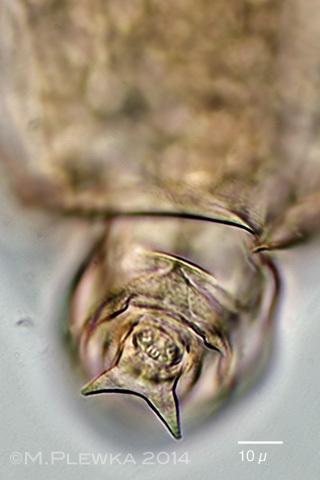 Habrotrocha novemdens, whirling, dorsoventral view; focal plane on the triangular shaped upper lip. 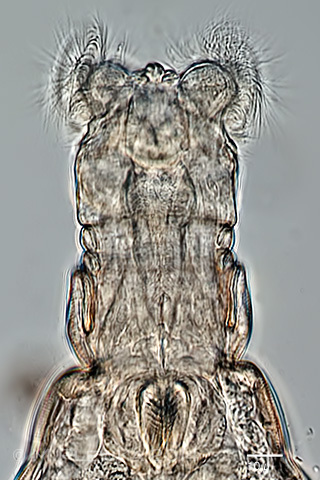 Habrotrocha novemdens; Upper left image: head, dorsal view; the upper lip, has a small protruding appendix. 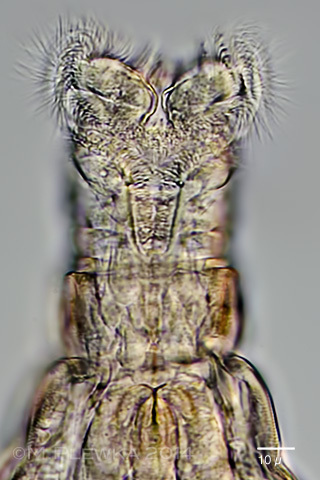 Right image: head, ventral view. Lower left image: trophi with dental formula 9/9. 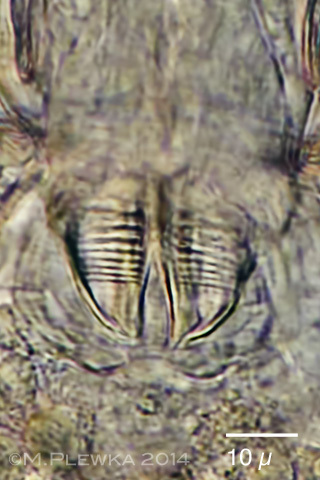 lower right image: foot with spurs and 3 toes. Location: Wertach near Bobingen, forest, moss.